Jet2.com has today (Tuesday 16 October) announced it will add a fourth aircraft to its successful Glasgow Airport base in 2013. The aircraft will be permanently based at the airport and its arrival will create more than 50 new jobs. 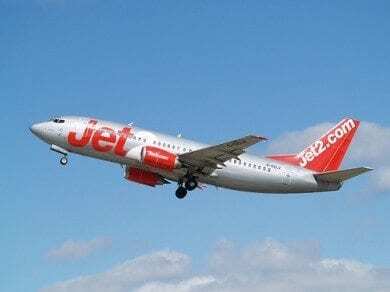 Jet2.com has also revealed that three new routes, two of which are brand new for Glasgow Airport, will commence with the summer 2013 schedule, and that overall capacity will be 20% up on 2012 with more than 500,000 seats now on sale. Murcia in Spain’s Costa Calida and the charming Croatian resort of Pula will be served from Glasgow Airport for the first time, while the addition of Menorca will take the total number of destinations operated by Jet2.com to 19. The additional capacity means that there will be increased frequency on flights to a number of popular holiday destinations including the Canaries, Majorca, Ibiza and Turkey. Amanda McMillan, managing director of Glasgow Airport, said: “Since its arrival in 2010, Jet2.com has gone from strength-to-strength at Glasgow Airport and has firmly established itself as one of our most popular airlines, carrying almost 600,000 passengers to date. Steve Heapy, managing director of Jet2holidays, added: “Glasgow is an important base for us, and as we enter our third year, we are delighted to announce more new destinations our customers want. Local holidaymakers have been requesting services to Menorca, Murcia and Pula and we are happy to be offering these amazing destinations for 2013. “We recently announced Bodrum and Gran Canaria, which are also new for next year, meaning passengers have even more fantastic holiday options direct from Glasgow Airport. Adding our fourth dedicated aircraft is also great news for the area. This will be based at Glasgow ahead of the peak holiday season in May and will allow us to offer these new destinations and even more flying.